Roman oval body shield according to the depiction on the Trajan's Column in Rome. Into battle with the Roman oval body shield! This true-to-the-original replica of a protective shield of the Roman auxiliary forces is based on the depiction of the world-famous Trajan’s Column’s relief in Rome. There, the Roman oval body shield is depicted as an essential part of the auxiliary forces during Trajan’s Dacian Wars. The Roman army was already putting oval body shields into use during the early times of the kingdom and the republic. However, nowadays the oval body shields of the Romans are predominantly associated with the auxiliary forces of the legions and the legionnaires of late antiquity, as well as other joined forces of the Roman military. 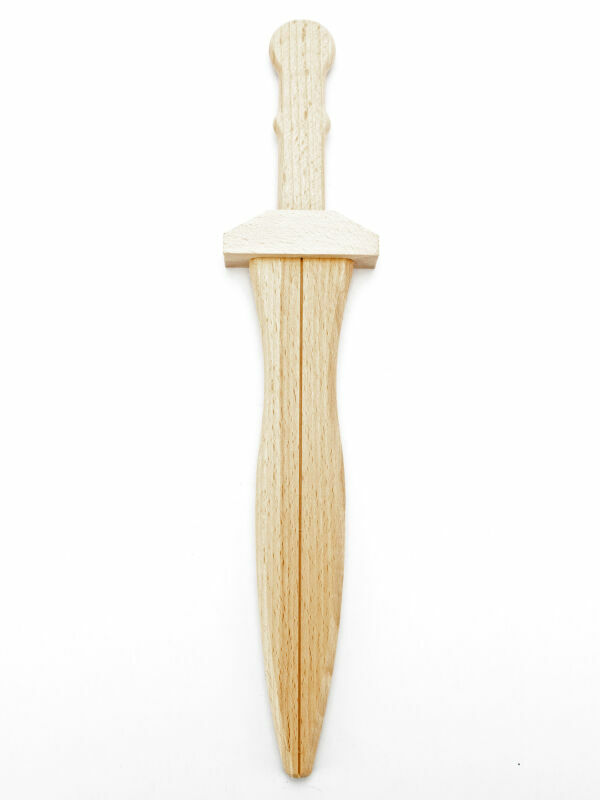 The blue Roman oval body shield is made of double glued wood and can be used during “combat missions” without problems. The elaborate paintwork, based on archaeological findings, provides a high scratch-resistance thanks to extensive manufacturing methods. 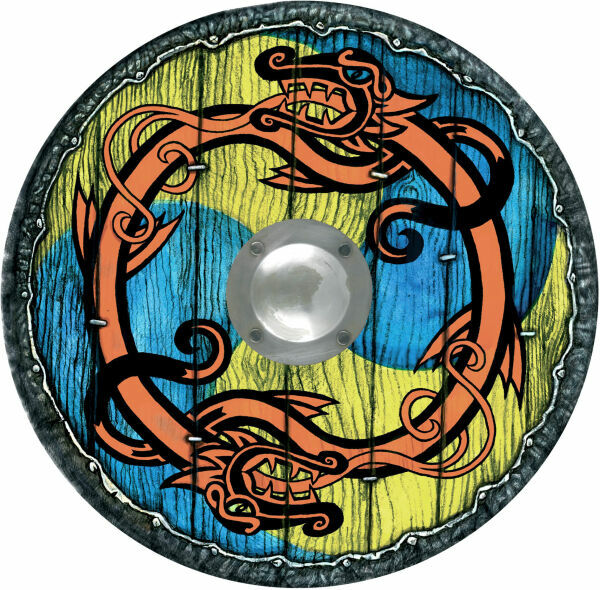 The protective shield further possesses a shield boss made of real metal. Thanks to the two tethers on its back, the Roman oval body shield can be worn safely and comfortably. The outstanding motives on the front of the Roman oval shield correspond to its model on the ancient victory column of Trajan; they show three of the most important motives of the Roman world. For one, the symbol of the Roman military might par excellence – the eagle. 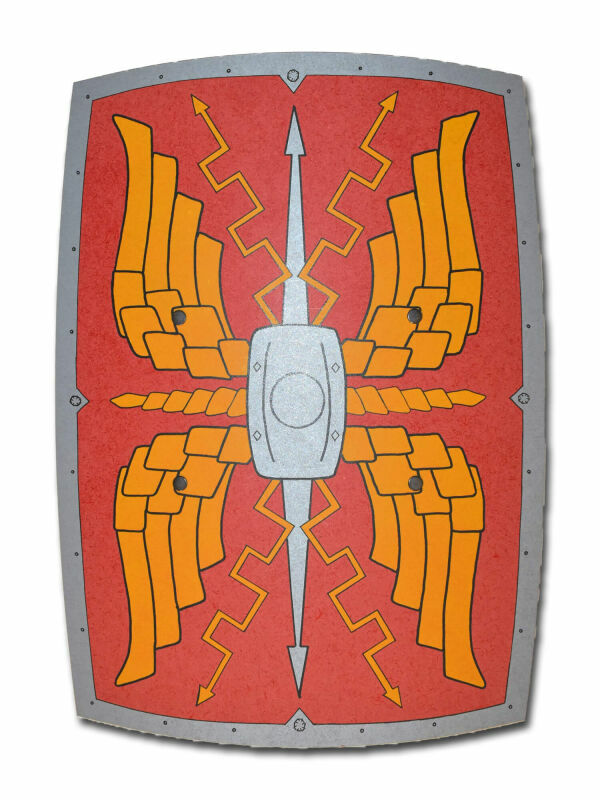 On the upper front of the Roman oval body shield the standard of the Roman military dominates the complete upper half of the shield. The center is dominated by the real metal shield boss and another symbol of the Roman omnipotence: The laurel wreath, trophy of Jupiter and symbol of imperial power. The lower half of the front is dedicated to the mythical roots of Rome. Romulus and Remus are shown as they are nursed by the famous she-wolf. Oval body shields were mostly worn on the field by auxiliary forces. They served mostly to visibly separate the different branches of service, even in long distances. Following several reforms of the army, the majority of the Roman army in the late antiquity wore oval body shields. 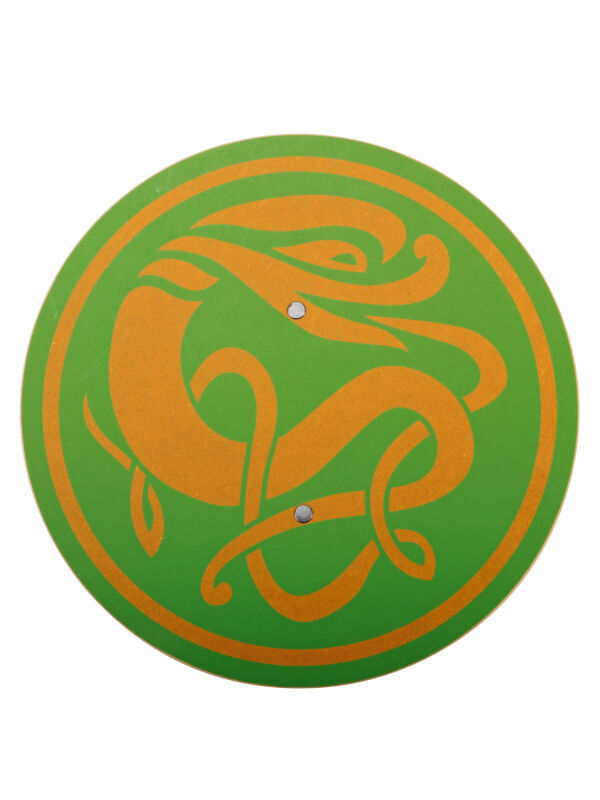 The offered shield corresponds to the time span of the late first and the beginning of the second century, especially to the Dacian Wars, which’s battle fields are thought to be located in modern Romania.